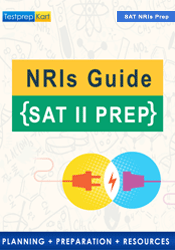 TestprepKart walks you through the difference between the NRI, PIO & OCI. All NRIs, PIO & OCI are eligible for DASA scheme. Lets see the difference between the NRI, PIO & OCI. Non-resident Indian are also referred as Indian Diaspora, are the people of Indian birth or descent who live outside of the Republic of India. As per the Ministry of External Affairs report, there are approximately 30.8 million Indian diasporas residing outside India. If he is in India for a period of 60 days or more during the previous year and 365 days or more during four years immediately preceding the previous year. However, condition No. 2 does not apply where an individual being citizen of India or a person of Indian origin, who being outside India, comes on a visit to India during the previous year. A person shall be deemed to be of Indian origin if he, or either of his parents or any of his grandparents, was born in undivided India. The Persons of Indian Origin Card was a form of an identification card issued to the Person of Indian Origin who held a passport in a country other than Bangladesh, China, Afghanistan, Bhutan, Nepal, Pakistan and Sri Lanka. The PIO Card programme came into effect on September 15, 2002. On January 15, 2015, the Person of Indian Origin card scheme was withdrawn by the Government of India and it was merged with the Overseas Citizen of India (OCI) card scheme. Currently, all the PIO cards are treated as OCI cards. PIO card holders will get a special stamp on their existing PIO card, stating "lifelong validity" and "registration not required", thus making them equal to the existing OCI cards. PIO card-holders were given an extended deadline to convert their card to OCI, free of cost before June 30, 2017. The Overseas Citizenship of India (OCI) is an immigration status authorized for a foreign citizen of Indian origin to live and work in the Republic of India indefinitely. The OCI was introduced in response to demands for dual citizenship by the Indian diaspora, particularly in developed countries. It was introduced by the Citizenship (Amendment) Act 2005 in August 2005. It was launched during the Pravasi Bharatiya Divas convention held at Hyderabad in 2006. Overseas Citizenship of India To apply for and use an OCI document, a holder must be a citizen of and hold a passport of another country, except that of Pakistan and Bangladesh. Before February 2015, passengers holding OCI card were required to carry the passport which contained the lifetime visa while travelling to India. This requirement was done away with during 2015, and now the OCI card holders no longer require the visa sticker passport. The OCI card (the blue booklet) in conjunction with a current valid foreign passport is sufficient to travel to and from India. Please write to us at info@testprepkart.com for further assistance.